If you stay in the hospital for an extended period of time, then Medicare or your health insurance may not pay all the bills. Here’s what you can do while paying hospital bills to help. Routine medical care can almost always be covered by Medicare or private health insurance, as long as you can meet the deductibles and copays. But paying hospital bills can be another matter. If you have to stay in the hospital for a long period of time, then Medicare or your private health insurance coverage may not be willing to foot the entire bill. Or, you may be assigned to a doctor at the hospital who is not a member of your healthcare network, which means that your health insurance won’t cover any expenses related to the treatment he or she provides. And the cost of hospital bills that are not covered by insurance can quickly become astronomical-and financially disastrous. Sources of income such as Social Security and Medicare may hardly make a dent in these bills in some cases. Furthermore, most hospitals will turn their unpaid bills over to debt collectors within a few short months, so you need to act fast in order to maximize your savings and prevent your bill from being turned over to a private collections agency. Here are several thing that you can do if you are faced with major hospital bills. These tips can help to preserve your credit score and minimize your out of pocket costs. 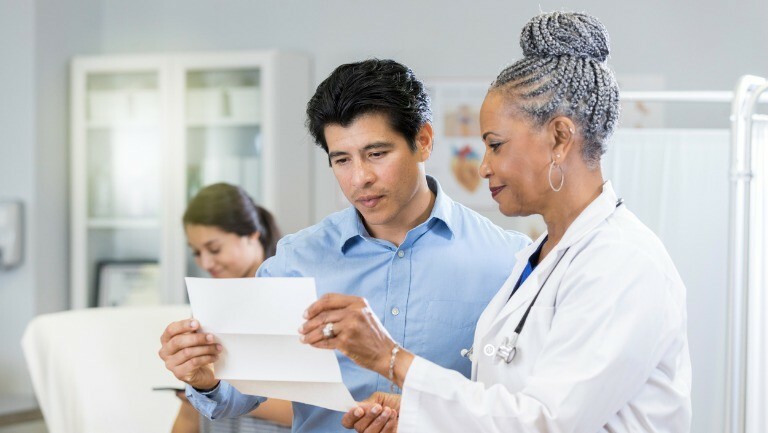 Negotiate, negotiate, negotiate – You may be surprised at how some hospitals or healthcare providers will be willing to lower their bills to you if you know how to bargain with them. This is especially true if you are able to pay a lesser amount up front with a lump sum. This can not only get you a lower bill, but may also keep your remaining bills out of the hands of collection agencies. If you have a reliable history of bill payment with a hospital, then they will most likely be more willing to work with you now and in the future. Most hospitals are willing to work out a payment plan with patients who cannot afford to pay their bills in full up front. And, in many cases, these plans charge a zero interest rate. But keep negotiating if you are contacted by collection agencies, and don’t forget that you can also negotiate with your health insurer in many cases. Negotiating with your health insurance company will most likely be a bit more difficult than talking to a collection agency or the accounts receivable department at your hospital, but the effort may be well worth your time. Just be sure that you are talking or communicating with someone who has the authority to take action on your behalf. Or you may wish to hire a professional bill negotiator, attorney or patient advocate to work on your behalf. Or you could tell the hospital that if your health insurance company requires a 25% co-pay, then you’ll only pay 25% of the rate that your insurer has negotiated with the hospital. Your hospital may also have charitable assistance programs available that provide assistance to low-income patients and families. Find out what programs are available and whether you qualify for any of them. The majority of hospitals and healthcare providers have financial counselors and benefit specialists who may be able to help you find aid. The best part is that many providers have generous aid programs available even to those who are above the poverty line. However, you may have to apply for Medicaid first and be rejected by them before you qualify. Check your bill carefully – Make sure to read the fine print on your hospital bill so that you can verify that each item listed is legitimate. Hospitals and other healthcare providers routinely make mistakes in their billing and receivables. Don’t pay for medical procedures or other things that you never received or didn’t need. If you set up a payment plan, find out whether your plan has a clause for billing disputes. If the bill for one or more services that you received from your medical provider seems extraordinarily high, do some research online to see what the standard cost for that procedure is across the nation.If your bill is much higher, don’t hesitate to ask the hospital’s billing department to reduce the charge to you. The internet is making hospital bills much more transparent to the public, so take advantage of this trend and make sure that you’re not being ripped off. Websites such as Clear Health Costs, Health Care Blue Book and FAIR Health can help you compare the prices you’re paying with costs from other providers. Doing your homework in this area can go a long way towards preserving your savings account. Get organized – and keep track of every bill that you receive, and review that bill to make sure that you actually received-and needed-every treatment or service that is listed. If you brought your own medications to the hospital, make sure that they didn’t charge you for them again, as this commonly happens. You should also get a discount on your room fee for your last day in the hospital if you are discharged in the morning (which will be the case most of the time). Guard your credit – One crumb of good news when it comes to medical expenses is that most medical debt is not reported to the credit bureaus unless it goes to collections. But any payment plan that you work out most likely will be. So setting up a payment plan may not damage your credit at all. But if you simply ignore the debt, then it will eventually go to collections and create a blemish on your report. Look to local financial assistance groups and programs – Find out whether there are any organizations in your area that are dedicated to helping patients navigate the health care system and pay their bills. These groups may also be able to hook you up with other forms of aid that you would otherwise never find out about for paying hospital bills. There may also be state and local programs available that can help you with paying hospital bills. Your local municipal social service agency should be able to point you in the right direction. If you are a person of faith, then consider asking your local church, synagogue or temple if they would be able to help you. Be prepared – If your family has a history of being diagnosed with cancer, don’t wait until this hits you before taking action. 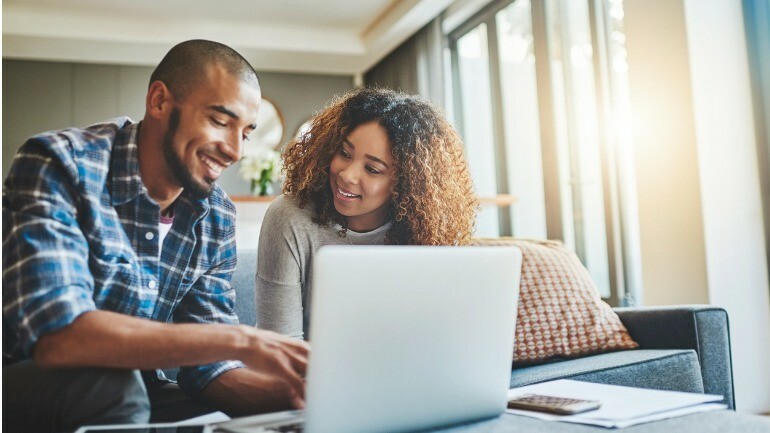 Now is the time to review your current health coverage to see what the coverage limits are and what deductibles you’ll pay. If these amounts would not be enough to cover your possible bills if you are diagnosed, then it’s time to increase your coverage. 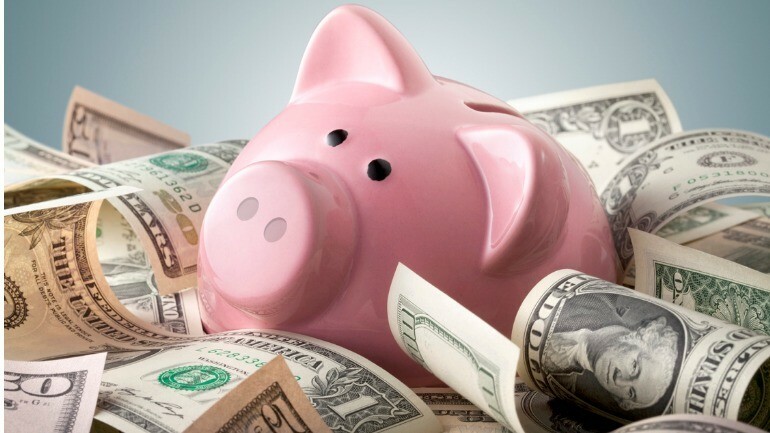 Emergency Fund – You should also have an emergency fund with at least three months’ worth of pay in a bank account if you are still working, so that you have some cash on hand if the worst occurs. Also consider signing up for short and/or long-term disability coverage if you’ve had several relatives endure lengthy stays in a hospital. This type of coverage is often offered as a group benefit by employers and can be a real lifesaver if you have to miss work for an extended period of time. Enlist a nonprofit consumer credit counselor – If you aren’t very adept at dealing with debt and negotiating with creditors, then you would be wise to hire a private consumer credit counselor to advise you on the best way to proceed. Credit counseling can help you to minimize any damage done to your credit score and may also help you to find ways to persuade the hospital to settle for a lesser amount than you owe. If you cannot find or afford a credit counselor, consider enlisting the help of a trusted friend or family member to do this. But this person will need your written permission to speak with the hospital or collection agencies about your medical debts. Crowdfunding – This means of raising money is rapidly gaining in popularity because of its convenience and ability to reach a much greater audience. A plethora of small gifts from friends, family members and strangers can add up to a large sum in some cases. There are hundreds, if not thousands, of American charitable organizations and business startups that rely on this avenue as a major source of funding. Some crowdfunding sites are specifically oriented towards dealing with medical bills. Once you find a crowdfunding site that you like, you can set a dollar limit on the amount of money that you would like to raise and then create a campaign page for paying hospital bills. Some crowdfunding sites will even help you to promote your page on social media. This is important, because most successful crowdfunding pages maintain a strong presence on social media, which means that they are seen by the maximum number of people possible. Get a personal loan – If your credit is in good shape when you go into the hospital, it may make sense to take out a personal debt consolidation loan to pay off all of your medical bills and then make just one monthly payment instead of dealing with several different creditors. Even using a credit card would be better than having your bills go to collections and then show up on your credit report and hurt your credit score. Sell your life insurance policy – If you own a cash value life insurance policy, then you may have a better way to deal with your medical bills. You can sell your policy to a qualified buyer, who will pay you substantially more than the cash surrender value you would otherwise receive. The buyer will then assume the responsibility of paying the policy’s premiums and will receive the face amount of the policy at your death. There are many life settlement companies now that can provide you with fast and simple quotes and quick payouts if you qualify. If you are terminally ill or medically disabled, then you may want to consider selling your policy in a viatical settlement. This arrangement is similar to a life settlement, except that viatical settlements typically pay you more for your policy than life settlements. Consult with your financial advisor to find out more about this type of settlement option. It could be that a life or viatical settlement could be the answer to all of your financial problems. Previous ArticleLong-Term Disability InsuranceNext ArticleSurrender Life Insurance Policy: Is it Right for Me?